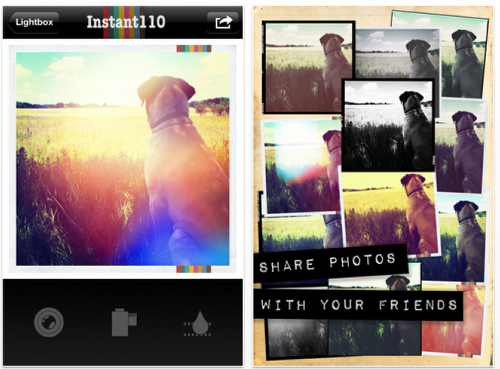 Instant110 is a new photo app that takes toy camera and analog photo style pictures. You can take strange and beautiful pictures easily by using lenses, films and developers included in this app. 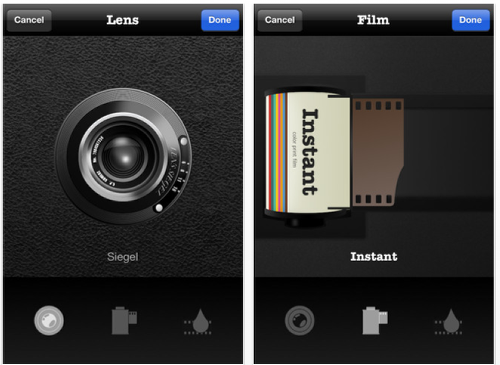 It has just been updated and now features a new lens, film and developer (via in-app purchase). The new ‘Fuller 155+’ lens adds impressive light leak and brilliant color to photographs. ‘Yorick G100E’ film lets you get th sprocket holes and the ‘Chromatic X’ developer desaturates photos. Other improvements include the feature to allow you to view example images of each lens, film and developer by touching icons plus a few other miscellaneous improvements and bug fixes. This is a free update but if you haven’t already downloaded this app you can do so here. It retails for $1.99/£1.49/download.